Children have more opportunities to be part of the club than ever before thanks to the Foundation’s community programmes. They were launched in September 2018 and are growing more popular by the week, but each of them give children the opportunity to attend on the day and take part, with no pre-booking required. If your child loves football, Mariners Park is the place to be! Here are some of the programmes we deliver. Please note, children under the age of six require parental supervision. On the day of every Saturday first-team game at Mariners Park, a Matchday Play Park is held on the 3G pitch. The Play Park is open for all children aged between four and 14 who have a valid match ticket, at no additional cost. It is on between 1.30pm and 2.30pm. Depending on numbers, children may be given the opportunity to play additional sports as part of the Play Park, including rounders. Delivered indoors at Westoe Crown Community Hub (NE33 3PE), Movers and Thinkers is aimed at children aged three to six and is a multi-sport activity session. SSFC Foundation Programme Delivery Lead Nathan Kew – who is an early-years specialist – leads the session, which takes place on Tuesdays between 5pm and 6pm, with a £4 booking required. Please book by emailing foundation@southshieldsfc.co.uk. This turn up and play session costs £3 to participate in. It is held on the 3G pitch at Mariners Park every Thursday between 5pm and 6pm and promotes fun and enjoyment. It’s open for children aged four to 12. Futsal continues to grow in popularity and to recognise its importance, we have introduced a specialist programme for children in Year 4, 5 and 6. Sessions take place on Fridays between 6.30pm and 7.30pm at Temple Park Centre (NE34 8QN) in South Shields. Limited spaces are available on this programme so booking is required, at a cost of £4 a session. Please email foundation@southshieldsfc.co.uk to book. 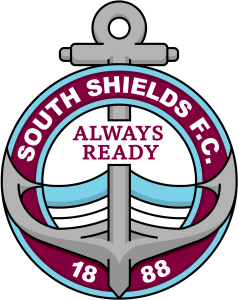 Every Saturday is super at South Shields FC! Children in Years 1 and 2 can enjoy a supervised football session between 12.30pm and 1.30pm on the 3G pitch at Harton and Westoe Miners’ Welfare Ground (NE34 0NA). It costs £3 a session and no booking is required. This girls-only session is held every Friday between 5pm and 6pm at Mariners Park. It’s for girls aged between five and 12. Originally called Wildcats, the session was rebranded in November 2018 and is proving more and more popular.